Our proofreaders and editors have compiled a number of writing tips to help you understand some of the most annoying and confusing mix-ups that we get asked about all the time. These writing tips are easy to read, short and to the point. We want you to be aware of the information quickly. They're easy to read and you can print them off if you need to. 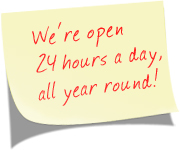 Remember, Supaproofread editors and proofreaders are available 24 hours a day, 7 days of the week, so you can submit your work anytime. Acronyms and Initialisms – what are they? Should I use 'who' or 'whom'? Should I use There, Their, or They're? Does appearance really matter when it comes to written material? 'An hotel' or 'A hotel'? Semicolons (;) or Commas (,)?